Here’s some more Samsung news for you today, this time not a rumour. On the Samsung bada Twitter account they confirmed that the new bada 2.0 platform will be coming to all Wave devices, but some parts of the updated platform will be reduced or unavailable depending on the specs (CPU and memory size). The update will initially start rolling out in Europe in Q4 then gradually to “different countries”, no word on when/if Canada will be receiving bada 2.0. The original Wave was only released by Bell and Rogers back in July of 2008. 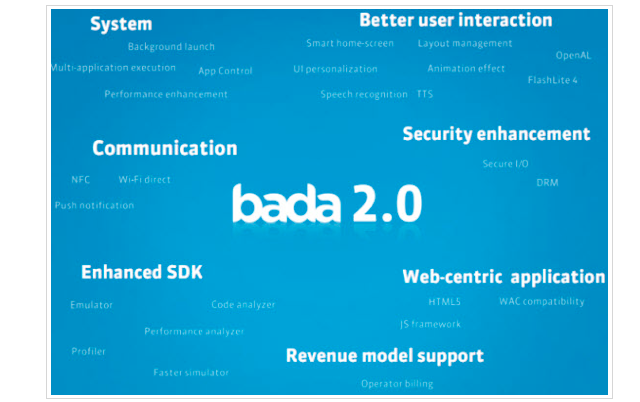 Samsung’s bada OS to go open source in 2012?